Julia's disfigured and mentally unstable twin sister Mary seeks violent revenge. On the back cover of the Blu-ray for 1981’s Madhouse, text refers to filmmaker Ovidio Assontis as “legendary” – and then mentions Piranha II: The Spawning to bolster his credentials. Now best-known as James Cameron’s first directorial effort, Piranha 2 offers a thoroughly awful film, and it doesn’t seem like something one would use to claim Assontis’s greatness. Rather than judge Assontis based solely on that one terrible movie, I decided I’d give Madhouse a go. As children, Mary Sullivan tormented her twin sister Julia, abuse that left emotional scars. As an adult, Julia (Trish Everly) tries to move past these childhood traumas, but this proves difficult – especially when Mary (Allison Biggers) won’t let go. Suffering from a disfiguring disease, Mary escapes from a hospital and pursues another path of torture aimed at her long-suffering twin, all intended to coincide with their birthday. A few paragraphs back, I reflected that I shouldn’t judge Ovidio Assontis based on the crapfest that was Piranha II, and it’s probably not fair to make a grand declaration about his talents – or lack thereof – after I’ve seen only two of his movies. That said, Madhouse does absolutely nothing to bolster his credentials as a legend – or even as a competent filmmaker. Madhouse probably isn’t quite as terrible as PII, but it’s in close proximity with that stinker. A meandering, dull attempt at horror, I can find little positive about the production. Actually, I do think the movie boasts a workable premise. Though nothing about the story seems especially original, it has promise, and in the hands of a better filmmaker, the tale of rival sisters and mental illness could’ve gone somewhere. Alas, Madhouse lacks the skill behind it to turn into an involving film. How is it possible four people worked on this script and yet the end result still seems so amateurish? Probably the film’s biggest problem stems from the fact Madhouse comes with roughly 30 minutes of story that it stretches past the 90-minute mark. This means the movie plods badly as it crawls on its way. Shots go on forever and become so sluggish that they turn into a distraction. Take one in which we see young boy Sacha (Richard Baker) in a park. In Madhouse, we follow Sacha as he walks to the park and putters around before any plot material arises. A competent film would cut out the padding and focus more on the actual narrative material. At least that sequence eventually goes somewhere, whereas other parts of Madhouse exist for no perceivable purpose. In one segment, schoolteacher Julia needs to tell her class of a tragic event – why is this in the film? I don’t know – it never connects to the overall arc and it feels utterly superfluous. Many other scenes follow suit, and these give Madhouse an annoyingly aimless feel. I’m all for horror movies that take us on a “slow burn” journey, but this one never seems to know where it wants to go, and the path toward inevitable mayhem takes far too long. Don’t expect the actors to elevate the material – especially Everly. Apparently Madhouse represents her only cinematic appearance, and I can’t claim the movie-going public missed out on a great talent. Indeed, I can’t discern any talent in Everly’s mopey performance. With a lethargic, breathy turn, she plays Julia like Marilyn Monroe after too many sedatives. Everly seems to have no clue how to approach the part and she leaves a massive hole at the film’s core. Not that Meryl Streep could’ve made chicken salad out of this mess, as the flaws of Madhouse extend well beyond a weak lead performance. Sluggish, pointless and downright tedious, this ends up as a terrible stab at horror. Madhouse appears in an aspect ratio of approximately 2.35:1 on this Blu-ray Disc. This wasn’t a bad image given its age, but it never became especially appealing. Sharpness was probably the weakest link. Parts of the film showed reasonable delineation, but a lot of it came across as soft and bland. No issues with jaggies or shimmering occurred, and I saw no edge haloes. Print flaws were absent as well. Colors were adequate. Though the hues lacked great vivacity, they showed passable clarity. Blacks were reasonably dark, and shadows presented acceptable smoothness. Nothing here seemed better than average. When we moved to the film’s DTS-HD MA 5.1 soundtrack, it showed its age but usually sounded decent. Taken from a stereo source, the soundfield lacked much ambition and failed to create much of an impression. Music offered the broadest scope, as the score spread to the front side speakers in a moderate way, and these elements used the back channels on occasion as well. Effects didn’t do much, though, as they seemed monaural for all intents and purposes. Dialogue was adequate as only occasional edginess affected the lines. Speech could’ve been more natural, but the lines seemed okay. Music wasn’t particularly bold, but the score and songs showed reasonable clarity and vivacity, with some surprisingly nice low-end at times. Effects seemed clean and without substantial distortion, so though they didn’t have much kick, they reproduced the material well. While nothing here dazzled, the mix held up fine for something from a low-budget 38-year-old film. The commentary presents as a chat among semi-knowledgeable genre fans. That means we get a decent appreciation for how Madhouse compares to other horror flicks but we don’t actually learn much about it, mainly because none of the participants seem to know much about the production. This doesn’t become a bad chat, but it fails to deliver a lot of useful information. Next comes Running the Madness, a 12-minute, 40-second interview with actor Edith Ivey. She discusses her career and aspects of the Madhouse production. This becomes a pleasant little chat. Framing Fear goes for 19 minutes, 32 seconds and offers a chat with cinematographer Roberto D’Ettorre Piazzoli. He covers how he got into movies, other films on which he worked and his relationship with the director, and his memories of Madhouse. Piazzoli offers an enjoyable, frank look at his experiences. We hear from the director himself in the seven-minute, 44-second Ovidio Nasty. 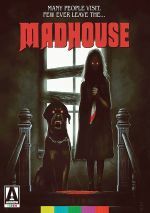 Ovidio Assonitis talks about the Madhouse production and gives us a decent overview, though “Nasty” seems too short to offer much substance. In addition to the film’s trailer, we get Alternative Opening Titles that last three minutes, one second. These are identical to the credits in the released film except they call it There Was a Little Girl instead of Madhouse. A second disc presents a DVD copy of Madhouse. It includes the same extras as the Blu-ray. A booklet concludes the package. It offers credits, photos and an essay from historian John Martin. It ends matters in a pleasing manner. With a little talent behind it, Madhouse could’ve turned into a serviceable horror tale. 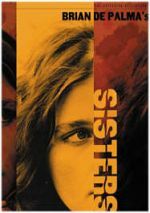 Unfortunately, the film suffers from amateurish work at all levels and winds up as a dreary, pointless piece of nothing. The Blu-ray offers mediocre picture and audio as well as a decent set of supplements. Madhouse delivers a relentlessly dull experience.